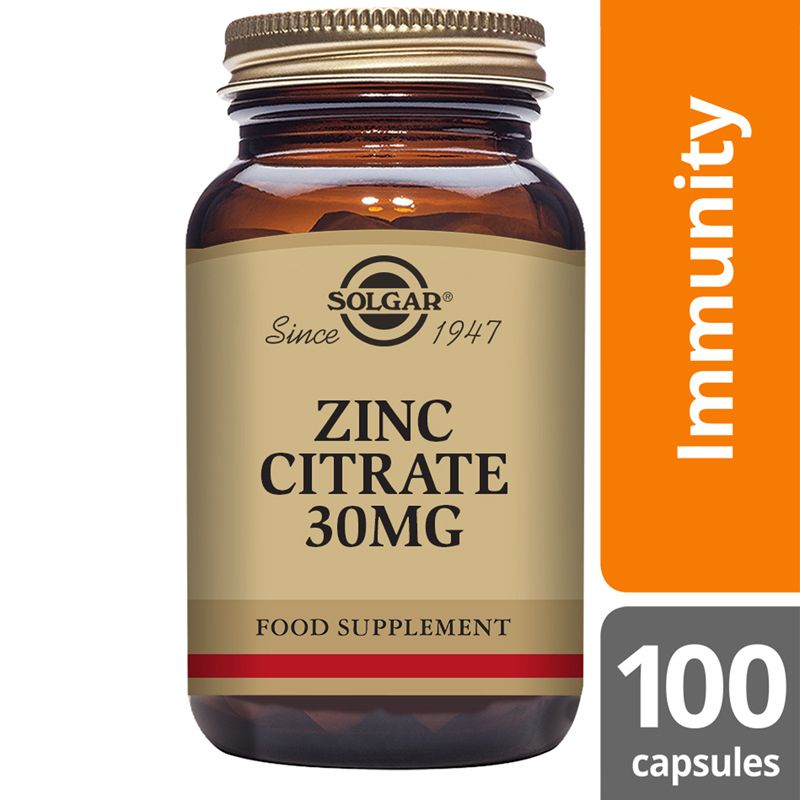 Solgar® Zinc Citrate 30 mg Vegetable Capsules provides premium quality zinc in a highly absorbable form. 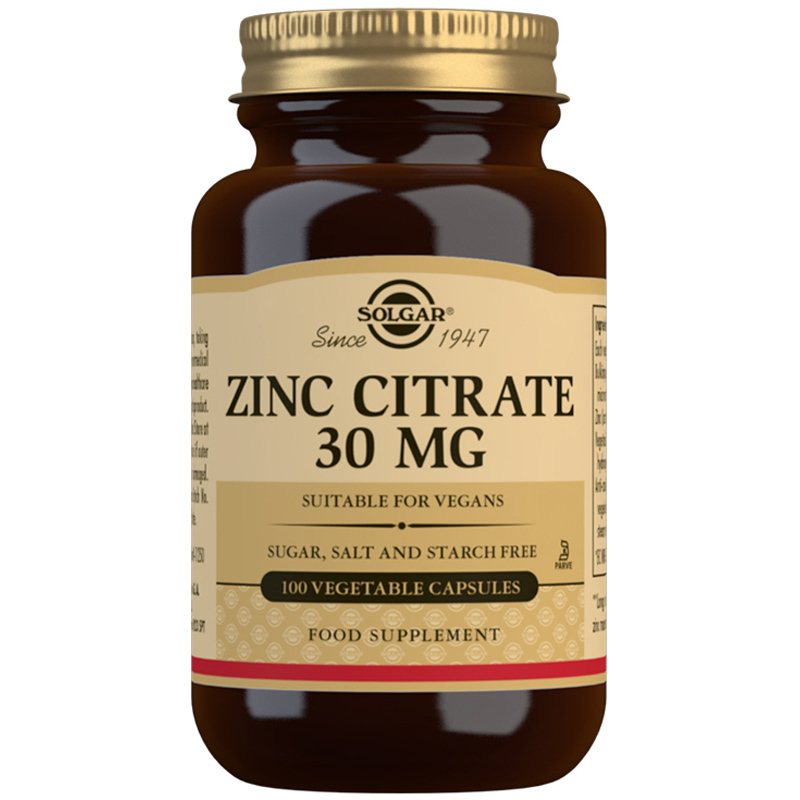 Solgar® Zinc Citrate 30 mg Vegetable Capsules is available in a citrate form; a highly absorbable form of minerals compared to the more commonly available oxides and is therefore more suitable for those with digestive issues. Ingredients: Bulking Agent: (microcrystalline cellulose), Zinc (as citrate), Vegetable Capsule Shell: hydroxypropylmethyl cellulose, Anti-caking Agents: (vegetable magnesium stearate, vegetable stearic acid). As a food supplement for adults, one (1) capsule daily, preferably at mealtime, or as directed by a healthcare practitioner. People who have an existing medical condition, take prescribed medication or women who are pregnant or planning pregnancy should consult their doctor before taking vitamin or mineral supplements. Keep out of reach of children. 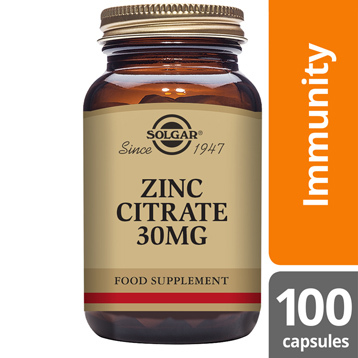 Please note Long term intake of over 25mg of Zinc may lead to anaemia.